I'm back at my blogging dashboard after an extended hiatus. Though I have been tweeting regularly in the interim, as time permitted, which is how the BBC found me yesterday and invited me to be on their discussion panel show, World, Have Your Say. 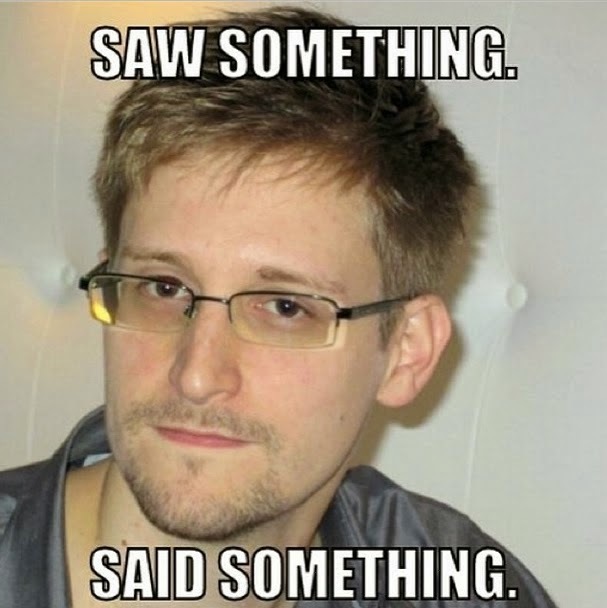 The topics: Edward Snowden--traitor or patriot?--as well as the NSA's warrantless wiretapping of hundreds of millions of innocent American citizens and residents (crimes against the Constitution or jaw-dropping treason, ahem). I'm not an experienced radio personality, but I nonetheless enjoyed speaking my mind. My debate opponents, arguing in opposition to me, were a constitutional lawyer in New York and an IT engineer in Washington, DC. I'd love to hear your thoughts. You can access the May 29th show here, then mouse over the leftmost photo in the middle row of the photo grid, and you'll get a Listen now pop-up. The Snowden discussion begins at the 45:50 point.